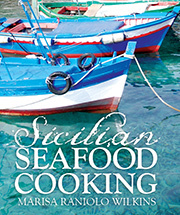 Because one of the books that I have written is called Sicilian Seafood Cooking and because my blog is called All Things Sicilian And More many of my readers assume that at Christmas I will be cooking Sicilian food. And what is the norm in Italy or Sicily for Christmas? As many have stated before me, there is no point in restricting the menu to a few common dishes because the food in Italy is very regional and depending where you live is likely to determine what you eat on Christmas day. When I was celebrating Christmas in Trieste (in Northern Italy), Brodo (broth) was always the first course on Christmas day. When I celebrated it in Sicily I had entirely different food – home made gnucchiteddi ( small pasta gniocchi) or Ravioli di ricotta were the norm. 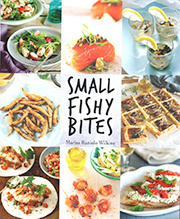 Sicily is relatively a small island, yet the food in Sicily is also very regional. All you need to do is look at the posts that I have written about Christmas food in Sicily to see that. For example when I celebrated Christmas in Ragusa, they always made and continue to make scacce,( baked dough with various fillings) and they make these during other festive occasions as well. Are Sicilians living in Australia likely to have scacce for Christmas? Not likely. They may be part of Christmas fare for those Sicilians coming from Ragusa and the province of Ragusa, but the menus from any Sicilian living in Australia is going to be influenced by other offerings of either Sicilian or Italian origin and by Australian culture and the Summer climate. Time and time again I am asked what am I cooking for Christmas Day or Christmas Eve. The answer is that I do not know yet. I can say is that on Christmas eve I like to eat fish as is traditionally observed in Italy and on Christmas day I usually cook something that I do not normally cook or have not cooked for a while, for example for first course I may cook Spaghetti/ Pasta with sea urchin (ricci) or bottarga or squid with black ink or crayfish or crab. So for this Christmas fare post, I am going to provide links to some of my posts which highlight sauces and dressings. This is because, irrespective of whether you are presenting a seafood salad, baking a turkey, or using a BBQ for fish or meat you can always vary the sauce you present a- Let’s face it, sauces can make a lot of difference and if you wish, you can enliven any food with a new sauce. Here are some sauces. that are suitable for Savoury food. It was a sauce which dates pre-Renaissance time and went out of fashion because lemons became popular in cooking and superseded the use of green grape juice. The recipes suggested that the juice of the green grapes can be extracted by using a mouli or a juicer. It is very good for any hot meat. Verjuice can be used instead and white wine works as well. Walnuts and almonds are blanched to remove as much skin as possible. My sources indicated that there may have been more walnuts used than almonds in these sauces. Onions, garlic and parsley and a few breadcrumbs are pounded together with the nuts. Add a bit of sugar, some chopped parsley and sufficient grape juice to make the amalgamated ingredients soft – like a paste. Heat these ingredients and add a little broth as the sauce will thickened because the bread crumbs. Salsa verde can be used to jazz anything up – vegetables, roasts, cold meats, smoked fish, crayfish etc. I sometimes use it to stuff hard boiled eggs (remove the yolk, mix with salsa verde and return it to the egg). It is mainly parsley, anchovies, capers, green olives. There may be times when an accompanying sauce for steamed, baked, grilled or fried fish will bring you greater compliments. The sauce is called sarsa di chiappareddi in Sicilian and it is made with capers and anchovies. For me it is most essential to use quality, extra virgin, olive oil. This is especially important for cold sauces, – when the cold sauce hits the hot food, the fragrance of the oil will be strongly evident. Bagna Cauda, translated as “hot bath,” is a dip for any combination of firm vegetables- cooked or uncooked. I would not have it on roast potatoes and can enliven many vegetables. It is a hot sauce mainly of garlic, anchovies and butter. Such a simple Sicilian dressing made with extra virgin olive oil, lemon and oregano that will make an enormous difference to any grilled or BBQ food- whether fish meat or vegetable. Excellent for any cold meat, fish, eggs, vegetable dishes. Salsa Romesco is said to have originated from Tarragona, a town close to Barcelona in north-eastern Spain. It is an old Roman town so I can understand why you might think the sauce originated from Rome. This sauce is usually associated as a condiment for shellfish and fish. It is also good with grilled and roasted vegetables (especially cold, left over ones that need dressing up the next day). Recently, I have been to two restaurants and this sauce was presented with cold asparagus. Garlic, red peppers, almonds and paprika are the main ingredients. Does a combination of green olives, pine nuts, sultanas and saffron appeal to you? It is a cold Sicilian sauce, especially suitable for fish but I use it for many other hot or cold food. Last time I roasted a duck I made a special sauce for it and it tasted great – green anchovies, parsley, the pale centre of a celery, garlic, stock and wine added to the roasting pan made an excellent gravy. This is a recipe from Sam and Sam Clark’s Casa Moro, The Second Cookbook. I had this sauce at a friend’s house accompanying roast goat. It is made mainly with mint, cumin and garlic and red vinegar (or balsamic). *There are many other posts for Christmas food. Sicilians, unlike other Italians in different regions of Italy frequently use mint as a culinary herb. And parsley in Italy is never used only as decoration, it is added for flavouring cooked and uncooked foods and is always eaten. Both of these herbs are included in Zogghiu. Zogghiu is used in some parts of Sicily to dress grilled or boiled meats or fish. On this occasion I used it on grilled squid and vegetables. Being a pesto, it is therefore traditionally made in a mortar and pestle – peeled garlic, chopped parsley, mint and a pinch of salt are pounded in a mortar and once the solids have been mashed the amount of liquid (oil and vinegar) and seasoning is adjusted to make a dressing as thick as you want it. On this occasion I also had some grilled vegetables to accompany the grilled squid so I wanted a liquid sauce and plenty of it. Zogghiu is an ancient recipe, thought to be Arab-Maltese in origins (from the word zejjet — to dress with oil) and although it is said to have originated in Palermo and first used by fisherman to dress grilled fish, some of my father’s relatives in Ragusa use it for grilled fish and meat and grilled or fried slices of zucchini and eggplants. However they refer to this sauce not as Zogghiu, but as agghiu, pitrisinu, ougghiu e minta – these are the ingredients in Sicilian — garlic, parsley, oil and mint. The Sicilian language is so very different to the Italian — aglio, prezzemolo, olio and menta (in the same order). I sometimes use lemon juice (limone) rather than vinegar (but this is not traditional). 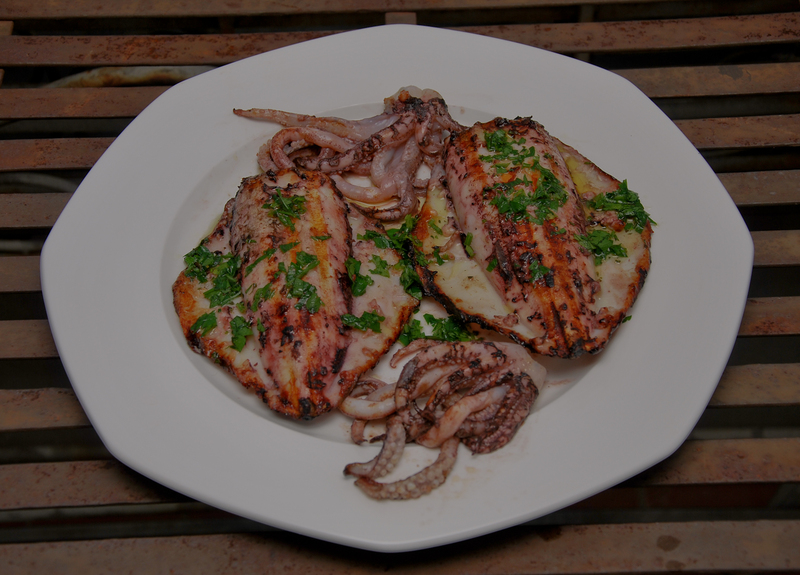 For a lemon based sauce also suitable for grilled food see the recipe for Salmoriglio. Pound the garlic with a little salt. Add some herbs and pound some more. Continue to add a few ingredients at the time (but not the lemon juice or vinegar), till they have all been used and until you have a homogenous sauce. Add the vinegar and more oil if necessary. For swiftness, I sometimes use my small food processor rather than a mortar and pestle – modern times! Adapt instructions that you may have to suit your particular appliance. For example this is what I do with my food processor: Chop the parsley for 5-10 sec, scrape the bowl, remove and reserve. Chop the mint for 5-10 sec, scrape the bowl, remove and reserve. Chop the garlic, scrape the bowl, add the herbs and with the machine still running add the oil and lemon juice. Taste and season. Add the vinegar and more oil if necessary. Both calamari and cuttlefish (seppie) are very popular in Italy. Calamariis the Italian word for squid and it refers to those species of squid with long side fins; those with relatively shorter side fins are seppie (cuttlefish). In Australia the two species are often sold interchangeably. Cuttlefish is usually braised and is favoured for making black ink sauces. As for squid, it is cooked and eaten in many ways, including raw but probably my favourite way of cooking squid is alla brace (grilled over hot coals); my gas fuelled Baby Webber does a good job too. I prefer to grill squid on high heat for a short time; Italians (includes Sicilians) generally prefer to cook it on medium–low heat for longer. When you cook it for a short time, the squid may still look a little shiny, but the residual heat completes the cooking, the flesh will turn opaque but remain moist. I generally buy small to medium sized squid (anything bigger than 400g each I consider to be large squid.) Grilled Calamari are popular all over Italy, but the salmorigano dressing is Sicilian. Season the squid with a fine sprinkling of salt and leave it to rest for about 5 minutes. .
Baste the squid with a little extra virgin olive oil; for extra flavour, use a strong sprig of rosemary or oregano as a brush. Brush a little oil on the metal grill before cooking the squid and grill the squid for 4-8 minutes on each side. This will depend on the size of the squid and how you like it. Place them on a large serving platter and rest it for about 3-5 minutes before covering it with a little dressing. A simple, Sicilian dressing is salmorigano. Mix together some extra virgin olive oil, lemon juice, a little dried oregano (it is stronger tasting than fresh), some finely cut flat leaf parsley and some salt and pepper to taste. Some also add a clove of finely chopped garlic.